Legoland is promoted as the UK's most unique theme park. Since it opened in 1996 at Windsor it has grown steadily to become the third most popular attraction in the UK after Alton Towers and Thorpe Park. It welcomes over 1.8 million visitors a year and is aimed at the 3-12 age bracket. Almost everything you see, play on or ride is made of coloured Lego bricks. It has over 50 rides, puppet and theatre shows, a stunt show, building workshops and other hands-on activities. Lego fans will be in paradise in the Lego shop and there is plenty of green open space for enjoying a picnic away from the masses. of Denmark just outside Billand in 1987. It chose Windsor as its second Legoland Park when the Windsor Safari Park went into receivership in 1992. It took until March 1996 to complete the attraction prior to it opening to the public. Probably one of the most coveted and unusual jobs were those of the builders of the amazing buildings and attractions. Altogether an incredible 53 million red, yellow and blue Lego bricks were used. 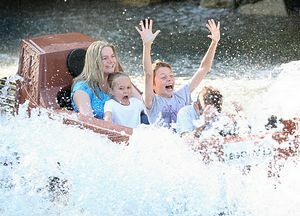 By 1998 Legoland had expanded into Castleland with its first roller coaster ride called the Dragon. Rides became more adventurous with the opening of Dragon's Apprentice, the Balloon School and X-Treme Challenge, a water flume ride, all being built in 1999. It also opened its first Christmas season complete with a theatre for the production of Peter Pan, but the Christmas openings only lasted for two years. Rides and ideas were constantly being changed to keep interest high and developments included a 4D cinema. new attractions, the latest additions being Jolly Rocker, the Pirates of Skeleton Bay Show and the new Lego City 4D Adventure. Legoland is divided into various themed zones. Near the entrance, The Beginning is accessible for 30 minutes before the park opens. 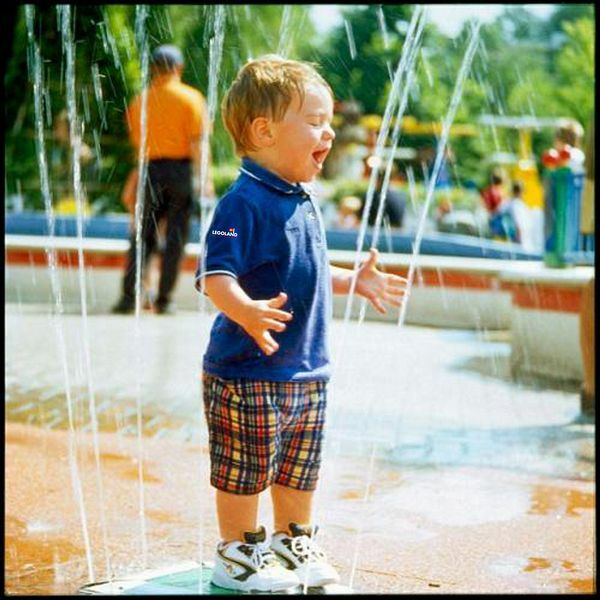 You can beat the queues, buy tickets and measure your child's height so you know which rides they can go on before the park officially opens. The Creation Centre is a fascinating place where you can see the Legoland model makers hard at work with their creations in the Model Makers' Workshop. It has Lego models of everything from the crown jewels to the cockpit of a Boeing 747. The Hill Train is the only surviving part of the former Safari Park and carries guests down the hill on a funicular railway from the Beginning area to the Traffic area. The 300-metre ride is down a drop of 27 metres. To give you an idea of the versatility of Lego, the train carriages have windows made of translucent Lego bricks to represent stained glass. Workshops with educational workshops on different building techniques used in the park. Visitors can also see the potential of the robotics products at the Lego Mindstorms Workshop and visit the 4D Imagination Theatre. Rides include Space Tower and Sky Rider which has powered cars running along an elevated track. Miniland is what most people envisage Legoland is all about. It has many Lego models of iconic buildings and towns on a 1 in 20 scale. For example, the London scene includes the Millennium Bridge, the London Eye (which really turns), St Paul's Cathedral, Buckingham Palace and Tower Bridge. Everything from Stonehenge to Edinburgh Castle appears in realistic detail and several other countries are represented too. Topical figures built from Lego change with the season but have included Doctor Who, HM The Queen, Boris Johnson, the Mayor of London, and popular TV personalities. Duplo Land is given over to models in this larger version of "chunky Lego". It has a mini golf course and an Extreme Team Challenge which is a duo of waterslides which guests ride down at speed on rubber dinghies. Traffic is another old-time favourite. Visitors get to drive a Lego car around a series of tracks and obstacles and at the end are presented with a driving licence. More exciting is the Fire Academy where visitors ride a fire engine and pump water cannons! Lego City is where the stunt shows are performed. Sponsored by JCB there are also some hydraulic diggers. This is the place to board the train for Orient Expedition around a series of towns with Lego safari animals to look at. 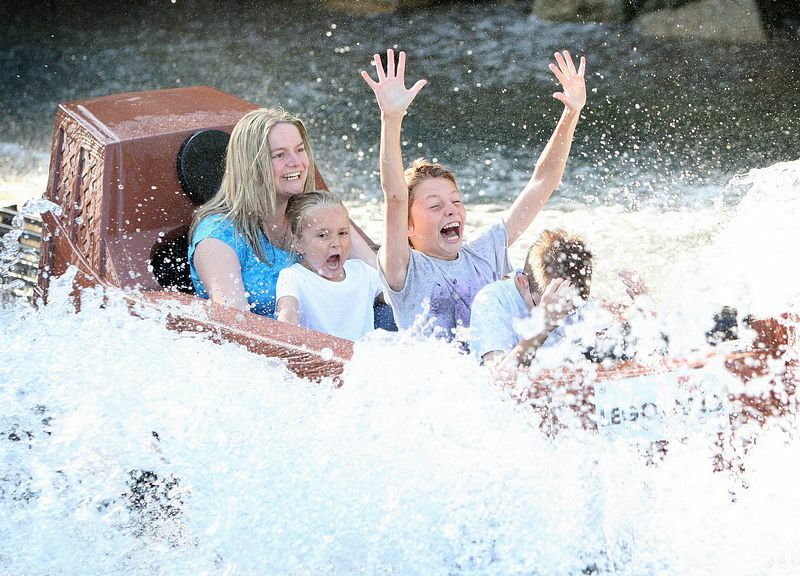 rides and Pirates Landing is the new log flume ride. Castleland still looks impressive with its crenellated towers and Dragon roller coaster and Adventure Land has a choice of rides. Legoland is a largely outdoor adventure park and it closes in winter. It opens from mid-March to early November and opening times vary so it is wise to check online or phone the attraction before you set off. You can generally count on it being open from 10.00am to 5.00pm and later at weekends and school holidays. As with all good attractions, expect queues to be part of the day at the most popular rides. 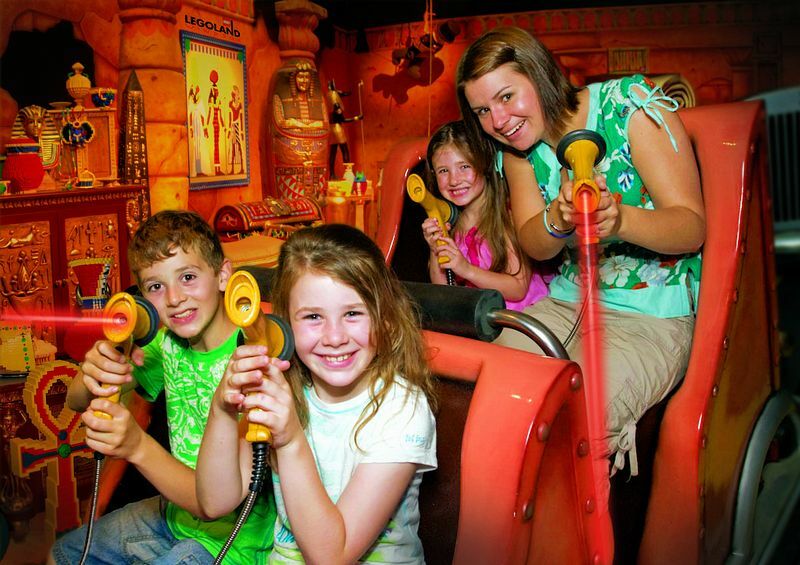 However, you can pay for a Q-bot and be paged when your place in the queue has reached the ride. As a family day out, Legoland is fun, moderately priced and you will certainly not run out of things to do. As a toy, Lego remains a firm favourite. Children play an estimated five billion hours a year playing creatively with Lego and there are 52 Lego bricks for every man, woman and child in the world! Opening hours of the park vary from 9.30am to 5 - 9.00pm. (subject to the park's special events calendar). 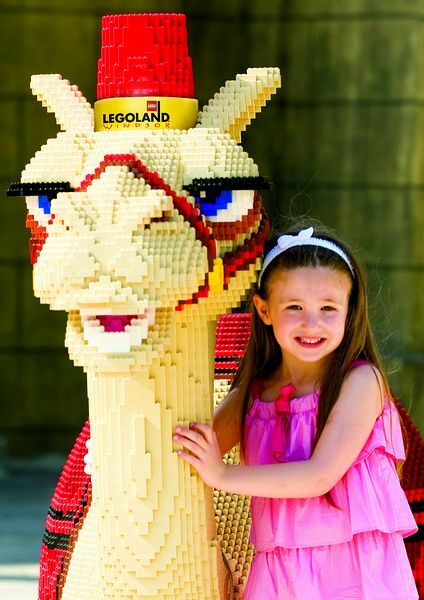 Please visit LegoLand website for full details of opening times. 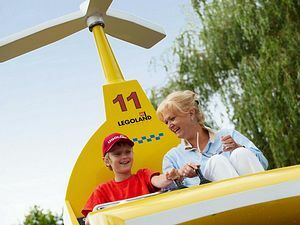 For ticket prices, Annual Passes and group rates please check out the Legoland website (link above). 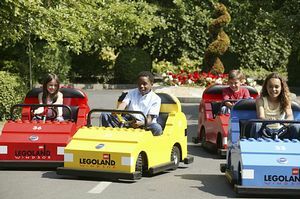 Legoland® Windsor is on the B3022 Windsor/Ascot road just two miles from Windsor town centre. It's easily reached via the M25 and clearly signed from the M3 (Junction 3), M4 (Junction 6) and all approach roads. A £2 parking charge applies and tickets can be purchased from the Ticket Booths or Guest Services at any time during the day. Car parking is included in the price of a Premium Legoland Annual Pass or Premium Merlin Annual Pass and these passholders will not need to purchase a separate parking ticket. Parking is not included in the price of a Standard Legoland or Standard Merlin Annual Pass. There is Preferred Parking for those who wish to park closer to the entrance at a cost of £6 per car . Annual Pass holders pay £5 per visit or £14 per season. Just half an hour from London Paddington to Windsor & Eton Central, via Slough (www.firstgreatwesternlink.co.uk); or direct from London Waterloo to Windsor & Eton Riverside (www.southwesttrains.co.uk), with a bus service to the Park from stops close to both stations.